Can you tell me the maker of this wallpaper? 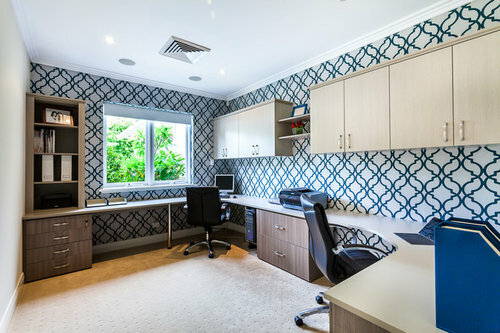 Would you try temporary wallpaper? Can you recommend a kitchen cabinet maker in Melbourne? Can anyone tell me what brand this door is?